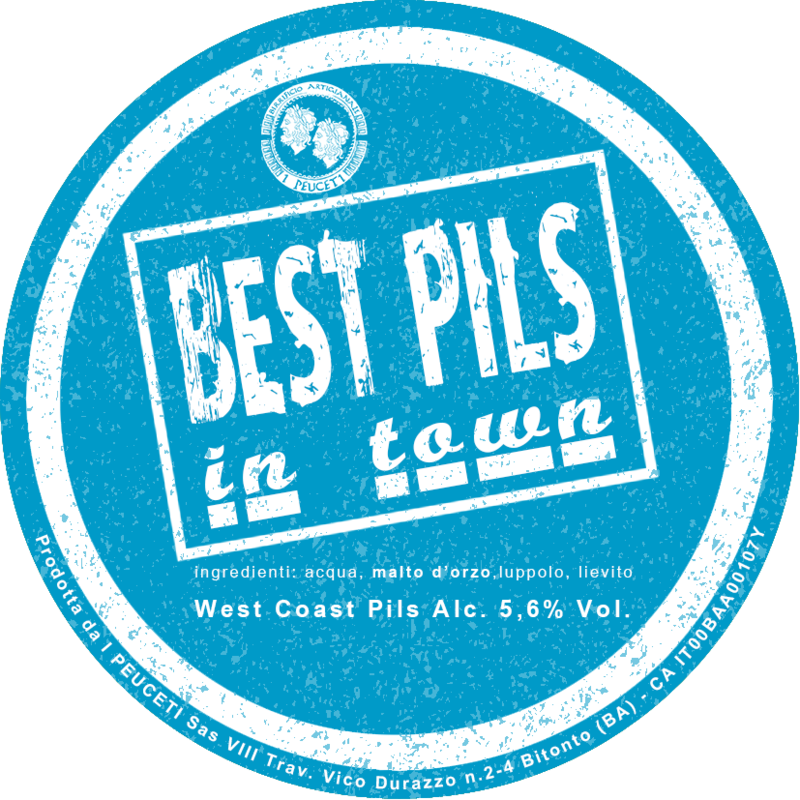 The best ever… of Bitonto is the best pils in town! That’s how we did it. The best pils produced in our city! But if it will be the best of Puglia, Italy or the world will let him choose who will have the opportunity to drink at the few (and good) pubs and restaurants where it will be available. The peculiarity of our first low fermentation beer is the use of American hops in very important quantities but not in bitter so only in flavour and aroma to give a pleasant sensation of freshness with citrus and grassy aromas but without renouncing To a pleasant bitter, very long but composed on a drier malty base. The Best Pils in town will be available from July 2018 exclusively on tap for a limited time. Call and alcoholic grade: Special Beer 5.6% ALC. Vol. Taste-delicate sweetness of the malt with the fresh contribution of the resins of citrus and citric hops. Sensation on the palate-body sustained by the highest carbonation, final dry and clean with a long, hopped aftertaste.